We offer trend setting Blinds, new Silhouette & HoneyComb Shades, String Blinds, Roman and Panel Blinds, to name only a few of the new and latest innovations in the Window Blinds Pretoria East. You will love your new “Home Makeover” when Blinds Connection transforms your windows from "Drab to FAB!" 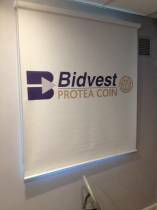 - with a new designer Blinds Pretoria East look. Also available are are great range of Awnings. Your home will never be the same again and claimed a new innovation of Motorized Awnings, Aluminum Awnings, Retractable Awnings, Canvas awnings, Louvre Deck Awnings, Drop Down Awnings, Portofino Awnings, Sunscreens and so much more. 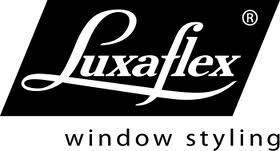 Always leading with quality products and service, Lindie Cronje at Blinds Connection is setting the trend with a new Luxaflex Gallery Showroom and offers you the latest in NEW and Imported products. 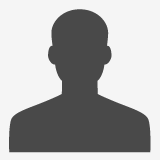 Read through our pages for more product advantages. 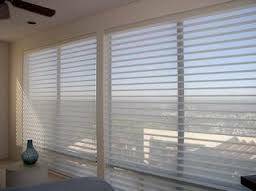 Contact Blinds Connection today to find out more about the amazing range of Blinds Pretoria East. 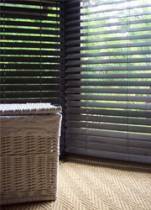 Pretoria East Blinds, all types of Window BLINDS is a lifestyle in today’s home, office, shops & buildings. 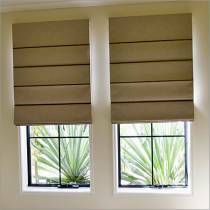 Call now for our specialist agent to measure and advise on your best BLINDS choices available. Todays exclusive blinds offer unique decorative and functional options. BLINDS in our exclusive ranges offer insulation to save on electricity, anti-dust and anti-static properties. 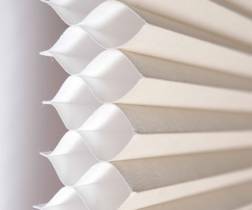 New BLINDS designs and materials offer UV protection and privacy. Here are some great images of Honeycomb Duettes imported and installed for Lizelle's in their new house. 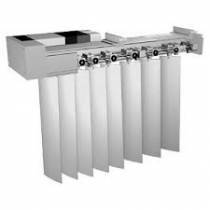 Semi Opaque, double layer heat reduction, isolation features. 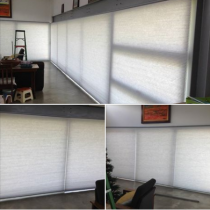 If you would like to order your Honeycomb Duette Blinds now contact Blinds Connection. Don't miss out on this great 15% Discount XMas Special on all types Blinds & Awnings! 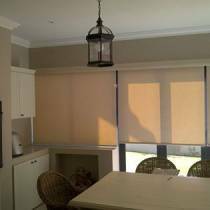 Contact Blinds Connection Pretoria today to find out more about this great Blinds Special in Pretoria. Logo Printed Roller Blinds are all about Control and is the serious side of the latest Roller Blind Collection. Re-designed with a Stylish cassette cover means your Logo Printed Roller Blinds no operating systems are visible. To order your Logo Printed Roller Blinds today contact Blinds Connection. Ask about: Slope and Skylight, Other Shapes and Eclipse Block Out. Wooden Shutters transform even the most tired looking windows, add to the ambience of any Interior or Exterior and enhance your state of mind. 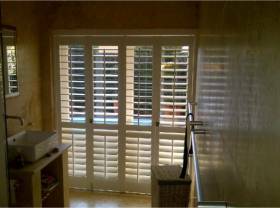 Wooden Shutters are the most exclusive window covering all over the world. Wooden panels easily slide, fold/stack away to open.